Hello! It's getting warmer here, and with spring comes hay fever. I've been feeling under the weather, so sorry for the long time between posts. 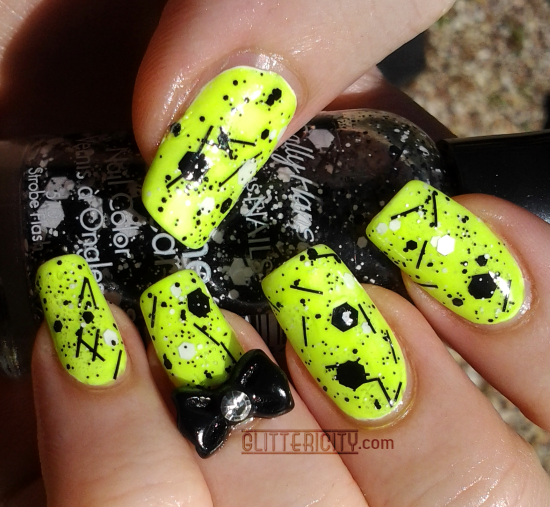 But in celebration of the sunshine, and to cheer myself up, I've been wearing neon nails, plus my new Born Pretty Store bows! So simple, yet so fun! Click the jump for the details! 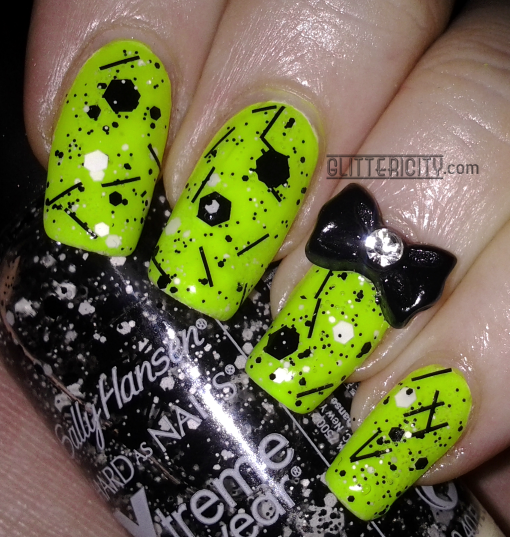 The black and white glitter is Sally Hansen Xtreme Wear #510 Strobe Flash. I used two coats, dabbing and placing to get them where I wanted. It spreads easily enough, but I'm fussy about the distribution of the big glitters. It's easy to move them around with the brush, which has clear bristles, so it's easy to see all the bits--even the tiny black ones that would be lost on a typical black brush! Finally, two coats of Seche Vite sealed in all the glitters and left a smooth finish. So as you can see, I added a black one to my ring fingernail with a dot of nail glue. 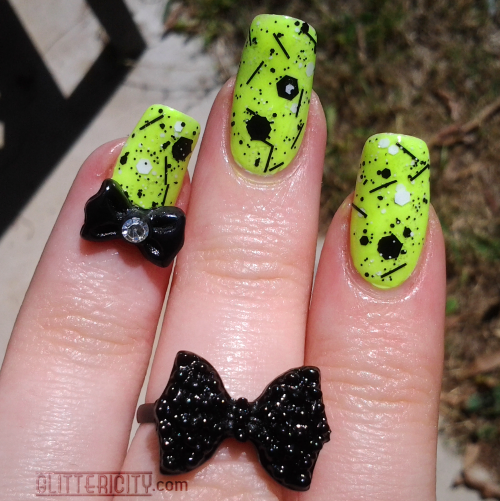 It matches this cute black bow ring, which also came from BPS. 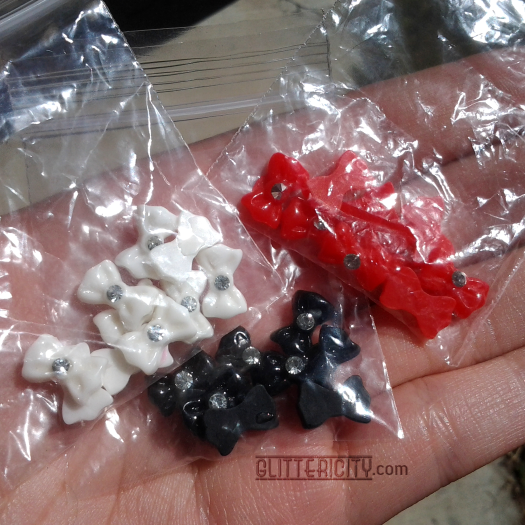 Want to get your hands on these cute bow charms? They're here, and come in 12 colours. 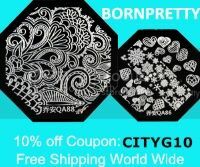 Remember to use discount code CITYG10 to get 10 percent off your order--includes anything on the site! Love this look! So fun! It would be perfect for the Halloween party this weekend! Which you were here to go with us again! uhh I love the bows!! It really would!! I had so much fun last year--would love to be there for this one. I love the photos of you and Chris there. Was it at the same house? Yup! It has been there the last four years. The theme this year was cirque du freak. They had lots of circus like decorations, it was pretty cool!